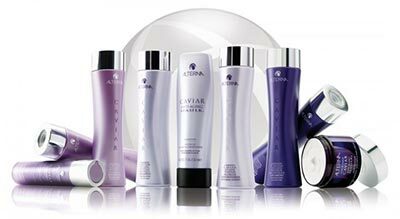 Caviar Anti-Aging is a comprehensive line of products that addressess hair and skin that has been damaged by life’s daily stresses, environmental factors, chemical services, and premature aging. By targeting the aging process at the cellular level and by infusing hair with Caviar Extract and the latest technologies, this line of products helps minimize the visible signs of aging and improves the overall appearance of hair. Our Age-Control Complex®, included in each Caviar formulation, incorporates three key ingredients – Caviar Extract, a rich source of Omega-3 fatty acids; Vitamin C, a proven anti-oxidant; and Cylokines to encourage microcirculation. The result is truly revitalized and youthful looking hair … immediately, and for years to come. Keeping up with fashion and its ever changing hair styles can compromise the health of your hair. For hair to stay healthy it needs a complete diet of proteins, minerals, and vitamins. Alterna’s Bamboo formulations are infused with Certified Organic Botanicals to strengthen your hair and supplement it with the nutrients needed to prevent damage before it happens, naturally.